So as I mentioned in my recent post we just returned from a short trip to Las Vegas. I also mentioned that my luggage unfortunately did not make the trip with me. The representative also stated that she would call Detroit to request shipment of my bag and that she would call me to verify that they were sending it out. So naturally my expectation is that I would be getting that call within the hour. At 1:30pm I called to see if she reached them.. No answer, I left a message requesting a call back. I did that again at 2:30p, 3:20, and 5:50p. No call backs. At 6:20p I finally got someone to answer the phone! 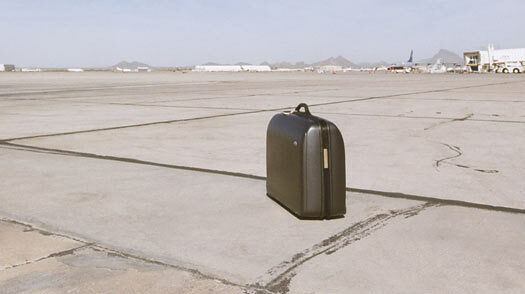 Only one problem…”they haven’t received any positive information regarding my bag”…wait…what? What does that mean? You can’t reach them, or they really lost the bag? Nope they lost it…completely lost it. Although they continued with their vague game playing and never said they lost it. By this time I’m getting ticked. I was told I could pick up any essentials that I needed to get by and they would call as soon as they had more information. I’m going to fast forward now. I never got my bag back! I spent over $300 on essentials to get me by. I am now at the mercy of the airline as far as compensation for my losses. I had to send a notarized list of my belongings by certified mail, along with my original boarding pass, itinerary, claim check, a copy of my license, all receipts for my incurred expenses along with an itemized list of those things…which they reserve the right request that I send back to them…what?! Also the receipts from any item in my lost bag valued at more than $50 regardless of how long ago I purchased them… my first born, the neighbors dog, and my best friends pillow case *can you feel the sarcasm. I also provided a timeline of the 20+ calls I made to the airline, and letter of disgust for their lack of customer service. My claim is for over $1000, and I’m asking for reimbursement of my prepaid baggage fees. I’ll post updates as I get them…let’s hope Spirit Airlines provides me with a happy ending to this story…I am so far unimpressed with their customer service efforts. 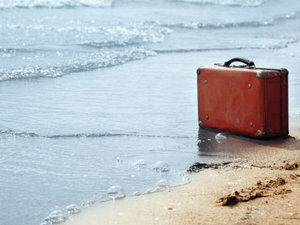 I hope my bag is somewhere warm and sunny enjoying it’s destination…more to come! I’ve travelled a fair amount and never had a problem but they have no idea where it went lol! Hopefully it found a good new home, and I will get properly compensated for my lost items.